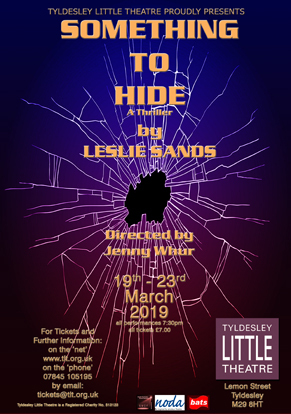 This version, based on the popular television series, comes to the stage of Tyldesley Little Theatre. 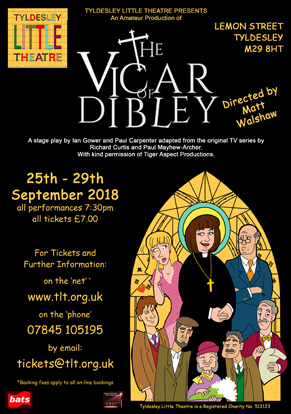 This has been adapted by Ian Gower & Paul Carpenter from the original scripts by Richard Curtis & Paul Mayhew-Archer and is directed by Matt Walshaw. 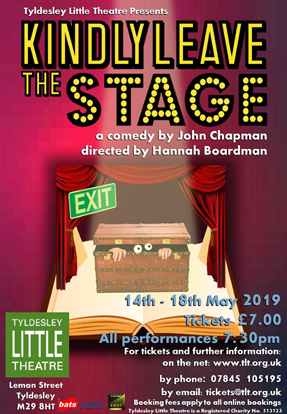 Matt takes on his second directing role at TLT, after the success of last season’s ‘Curtain Up!’ Those of you familiar with the TV production will be aware that this contains certain 'Adult Themes' which carry over into the stage-play. dressed as even stranger women and girls dressed as boys... yes it’s all good family fun and all in good taste. Alan Ayckbourn’s vivid suspenseful drama of murder, blackmail and hauting in which three women deal with the sftermath of death in the creepy, scary and eerie thriller. Perfect for the cold winter evening!! 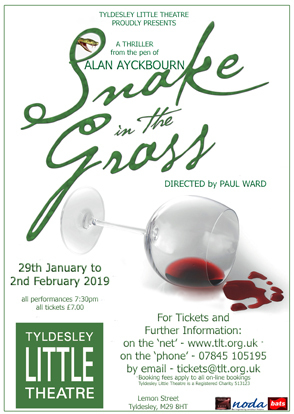 Tyldesley Little Theatre reserve the right to amend this playbill should the need arise.